The Chinese manufacturer Gionee has announced its latest flagship smartphone, the Elife E7, which the company claims to be the best Android cameraphone available in the market. The E7 runs on AMIGO 2.0, a heavily skinned Android. The Elife E7 sports a 5.5-inch JDI display with a resolution of 1920 x 1080 pixels. The numbers add up to a pixel density of 401ppi, which is quite sharp for any standard. E7 is also equipped with Gorilla Glass 3. 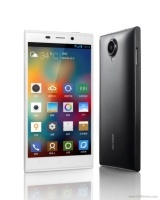 Gionee's latest flagship smartphone is powered by a 2.2GHz quad-core Krait 400 processor on a Snapdragon 800 chipset. 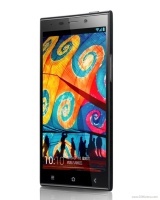 The 4G LTE variant will be the first smartphone globally to house a 2.5 GHz Krait 400 CPU. E7 with 16GB of internal storage will feature 2GB of RAM, while the 32GB model has 3GB of RAM on-board. Elife E7 main camera has 16 megapixels of higher than the usual 1.34 µm size, and there's also an 8 megapixel front-facing shooter. The primary lens is based on the Largan M8 solution and is said to deliver sharp images. Gionee has also worked on its software and the E7 comes with AMIGO 2.0 out of the box. The Android based operating system has a wide range of customized applications to enhance the overall performance and experience. Last but not the least, Elife E7 has the usual set of connectivity options and the juice for the smartphones is provided by a 2,500mAh non-removable battery. Gionee Elife E7 will be up for grabs from December 5 in Black, White, Blue, Pink, Green, Yellow and Orange color options. The 16 GB variant is priced at 2,699 Yuan (about $443), while the 32 GB model caries a price tag of 3,199 Yuan (about $525). The smartphone will also hit markets outside of China in early 2014.